Few investments have as dramatic an effect on your home’s curb appeal as siding. 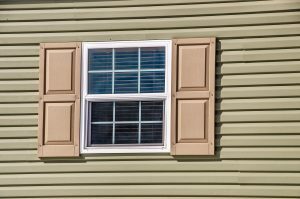 Whether you’re looking to spruce up your tired home or looking to buy a fixer-upper, consider using vinyl siding to improve the look and weather-resistance of your home at an affordable price. While vinyl is usually known for being a budget option, there’s lots to love about this versatile material. Lightweight easy to install, the latest vinyl siding also comes in multiple colors and textures. It’s also easy to paint if you decide on a different color in the future. Unlike wood siding, which needs to be painting or stained every few years, vinyl offers years of protection for your home. You won’t have to worry about leaking, cracking or rotting with this durable material. You can also purchase this siding with insulation. Most homes have hardboard insulation just under the siding, but insulated siding comes with an additional layer cut to fit in the air cavity left by the siding shape. It may only give an additional R-value of one or two, but it can still save you money over time on your heating bill. Few siding options can match the price of even the best vinyl. You’ll save plenty of time and headaches hiring a professional contractor to install your siding. However, because of the ease of installation, you’ll typically pay less in installation fees than other siding materials. If you’ve fallen in love with natural tones or want wood siding, you can even purchase vinyl options that appear just like wood siding, without the additional work. Contact a local exterior remodeling company to discuss the pros and cons of vinyl siding. If you’re ready to install this stylish and affordable option, you’ll be able to receive a quote and get ready for a brand new look for your home. This simple solution will seem like a brand new home.